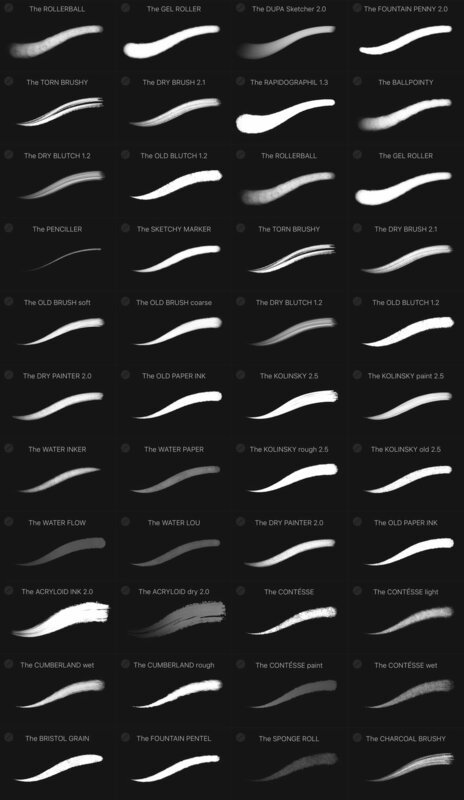 Download all my professional Procreate brushes, swatches, and tools via Gumroad (recommended), Sellfy or Creative Market. Feel free to check out sample images, demo videos, and reviews. 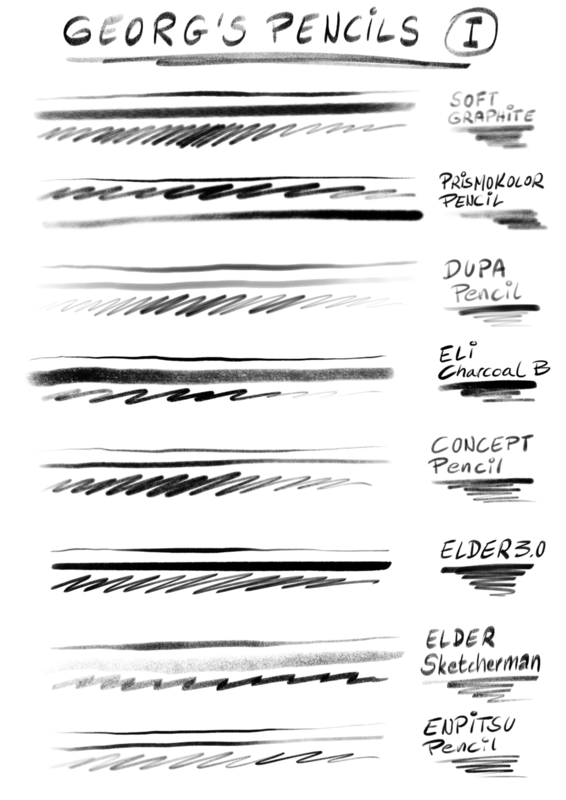 This is my most popular brush set (not only) for comics! 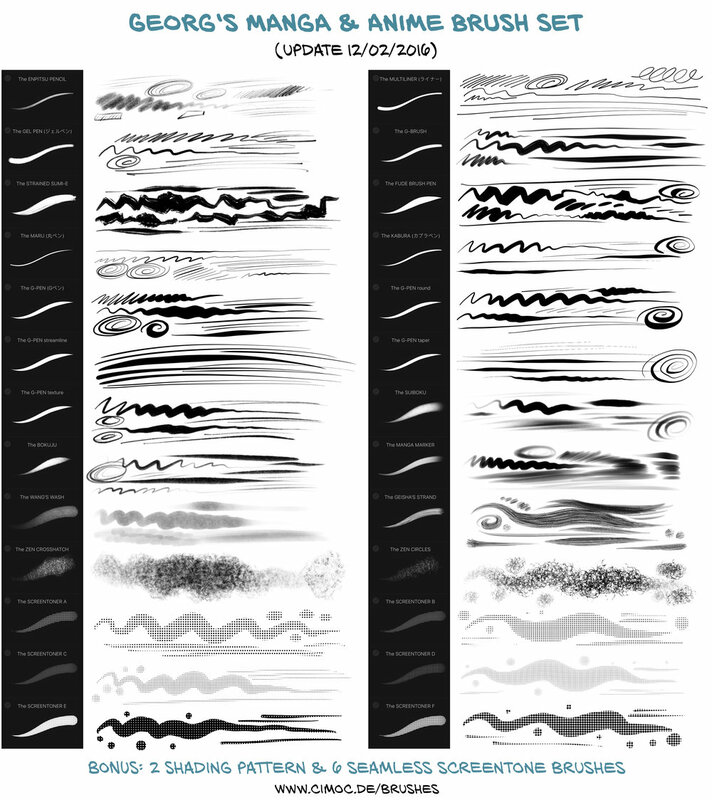 BONUS: Youâ€™ll get all new brushes and future sets as FREE updates! 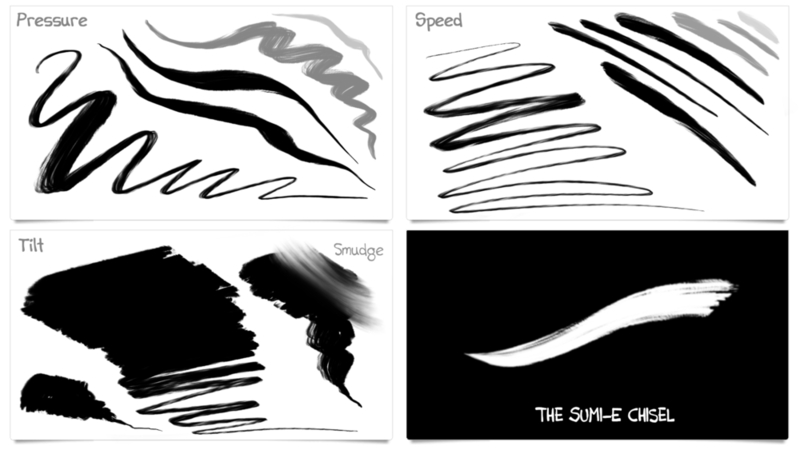 This free MegaPack update (#28) includes 10 brand-new brushes optimized for the new Procreate 4 features! 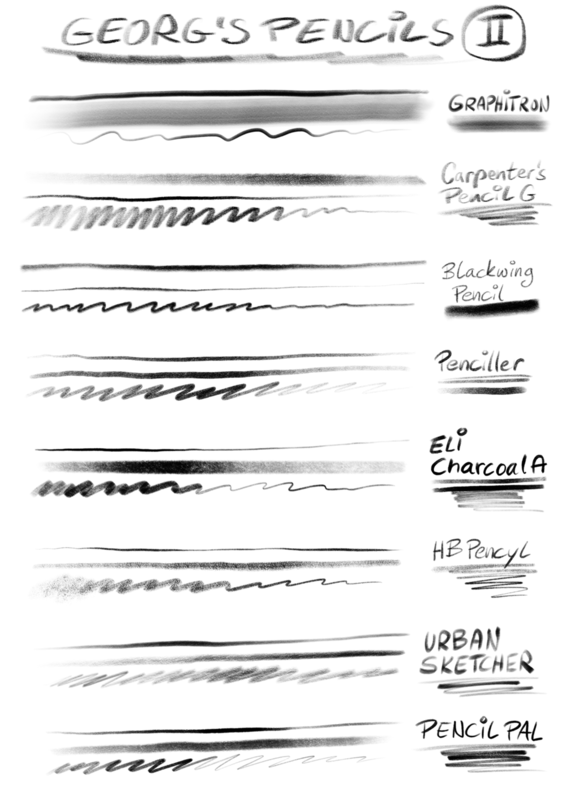 Here are some cheat sheets, brush demos, and sample drawings with my updated Pencil Brush Set. 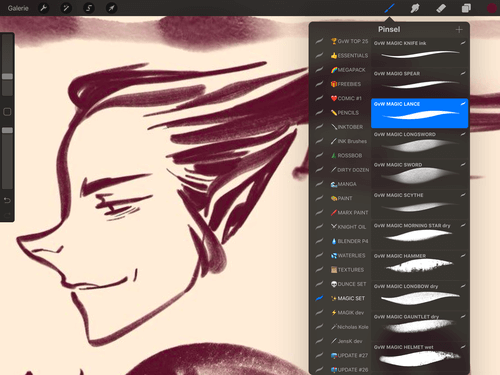 It contains more than 30 pencils, charcoal, and graphite brushesâ€¦. George, thank you SO much for these amazing brushes! 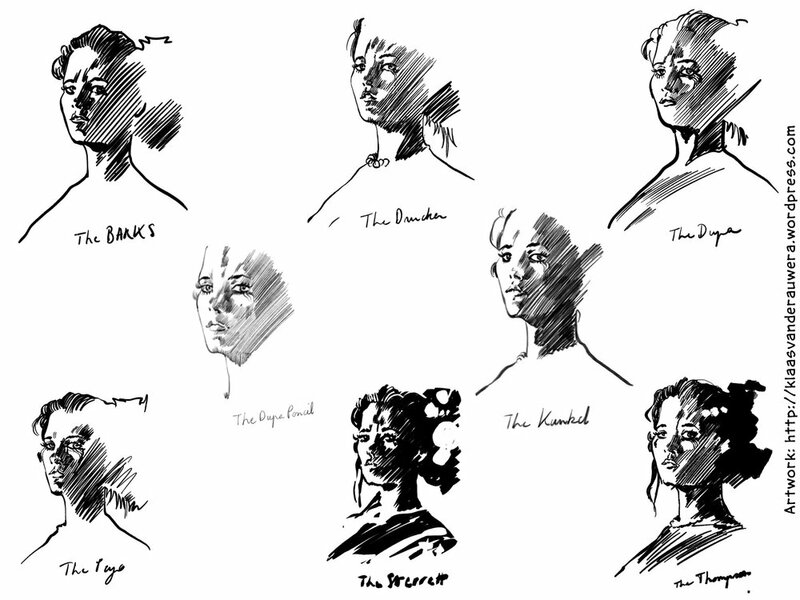 I was very disappointed in the ink brushes included with Procreate, and was dreading the hours that I would have to spend to create suitable inking brushes, when I discovered your set. Not only did you save me untold hours, but the quality is almost certainly better than I would have achieved on my own. Just tried the ELDER, and immediately bought the Megapack. Wonderful. 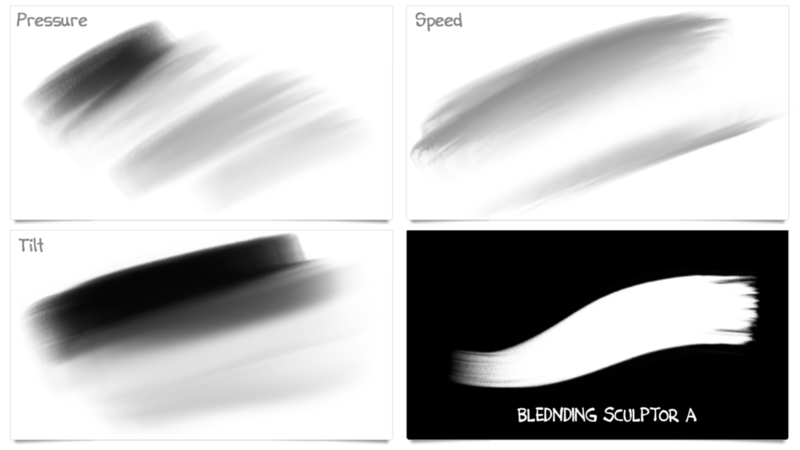 I like how you inclined the shape of the brushes (a thing I had planned but not had the time to try) and played with pressure AND velocity together. 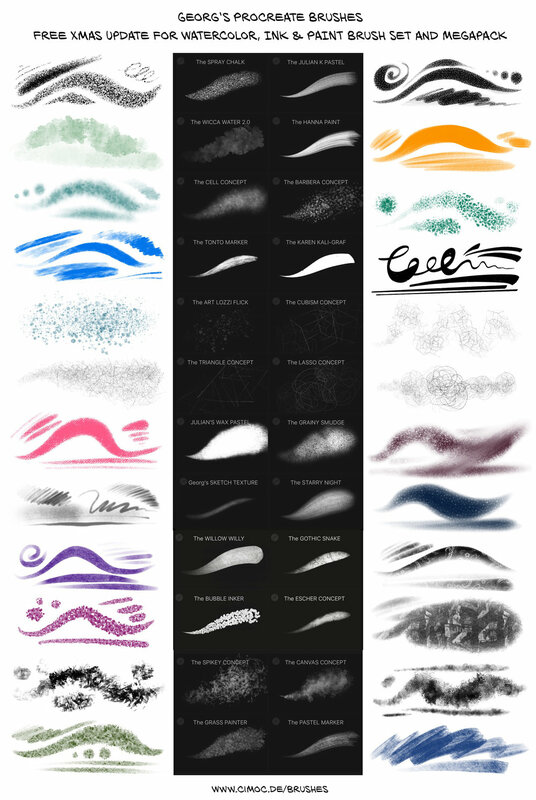 If you already own my MegaPack, youâ€™ll get the MAGIC Brush Set as a FREE update as soon as itâ€™s released! 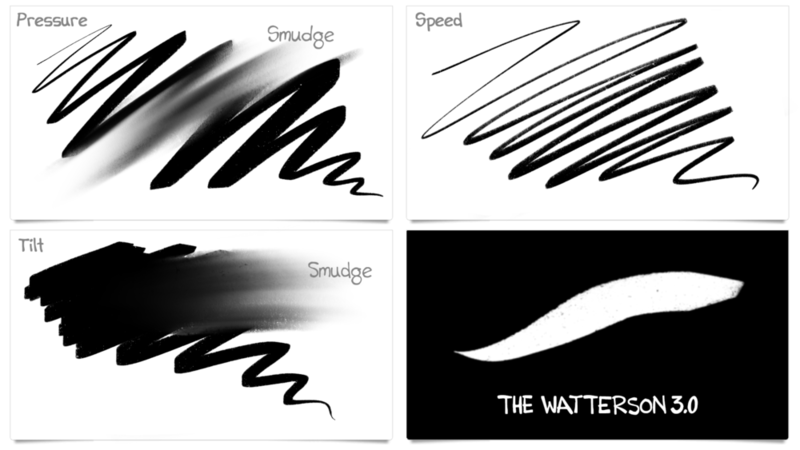 You want to try the upcoming brushes? Thank you! Iâ€™ll send you a free download link asap. 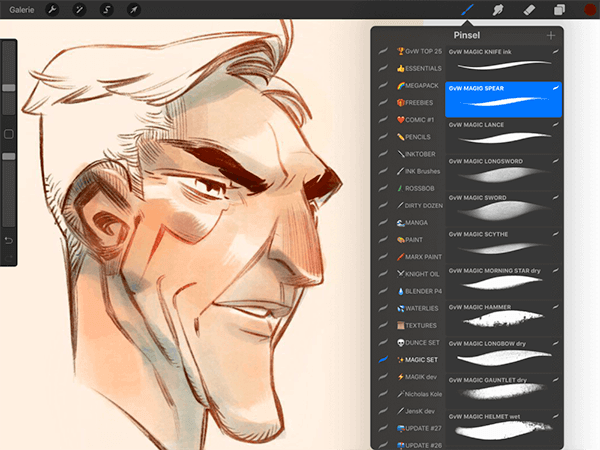 Procreate is a multiâ€‘award winning creative application giving you the power to create beautiful sketches, inspiring paintings, and stunning illustrations wherever you are. With Procreate, the world is your studio. Download Procreate for iPad or iPhone.